Four years ago Melanie Schiff moved from Chicago to Los Angeles. 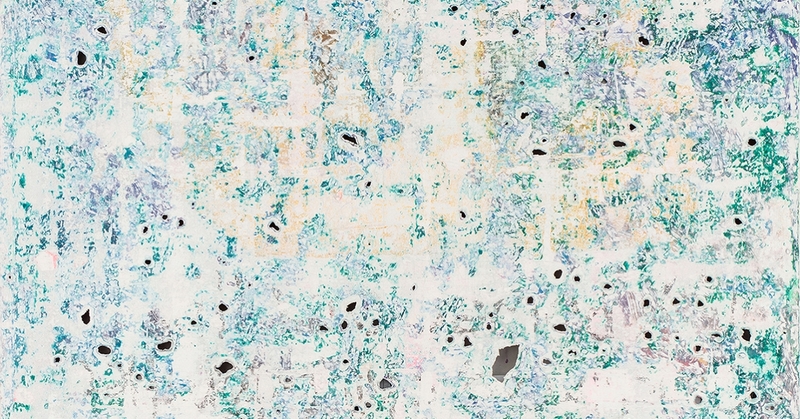 Despite the change in environment, her newest photographs demonstrate her increasing assuredness with motifs she has explored for nearly a decade. 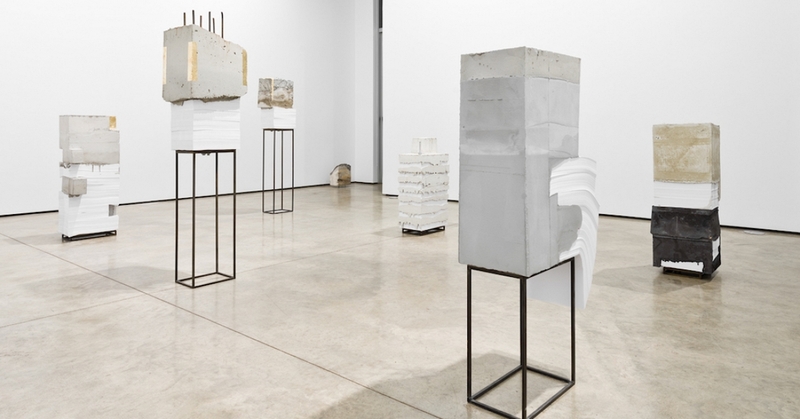 Her earliest works, made circa 2004, were beautiful but preciously arranged still lifes; in 2005 and 2006 she used beer bottles, mirror fragments, glow sticks, and compact-disc jewel cases to construct scenarios for her lens, many of which were evocative of post-Minimal or Conceptual art. This exhibition demonstrates she’s now equally capable of finding such scenes in the world around her. Glass House, 2012, which depicts colorful vessels in the fifteen panes of a suburban window, riffs on the postmodern fascination with seriality and repetition. Handball and Double Handball, both 2012, are black-and-white images that show the blank face of a handball-court wall in an empty lot; the latter photograph in particular, which superimposes the geometries of two views onto one negative, looks like a sculpture by Sol LeWitt as photographed by Jan Dibbets. These pictures are subtler than her early works; gone are explicit homages to other artists (such as Mud, 2006) and works that play for easy laughs (Spit Rainbow, 2006). Yet the increasing seriousness of her vision does not supplant her awe at the camera’s ability to describe light. Lemon Tree, 2012, with its strange chromatic effects and selective focus, captures some of the ineffable, hallucinogenic reverie of certain sunny afternoons. 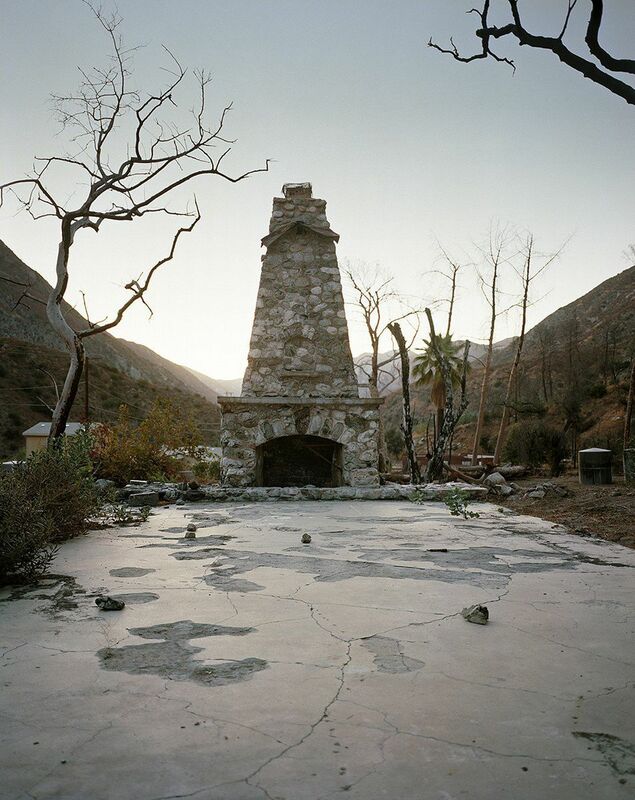 Chimney, 2012, which depicts all that remains of a house after one of the area’s regular wildfires, not only calls to mind Minimalist monoliths but also demonstrates Schiff’s knack for twilit scenes. Here the light at the horizon, whether ascending or descending, metaphorically suggests the change that is one of this picture’s subjects. It’s clear that after a recent body of work depicting tunnels and viaducts that was explicitly about Los Angeles, Schiff is now making her new home a subsidiary part of her more ambitious photographic concerns.